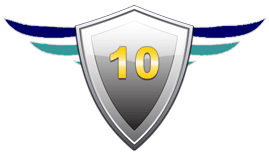 Managing Your Business: Cash registers and software-based Point-of-Sale (POS) systems are a critical part of any organization that conducts a significant amount of their transactions in the physical world. These systems help you keep track of your historical transactions and can provide many other features, including inventory management, customer loyalty program management, gift card program management, revenue forecasting, bookkeeping, expense tracking, multi-branch reconciliation, among many other aspects of your business. Peripherals: Cash registers are easy to understand conceptually, but they can become quite sophisticated, depending on how many other features an organization needs to integrate into their transaction flow. Peripherals like barcode scanners, credit card readers, receipt printers, and cash drawers can also be added to provide the necessary functionality. Price: The prices for these systems vary according to the features required. 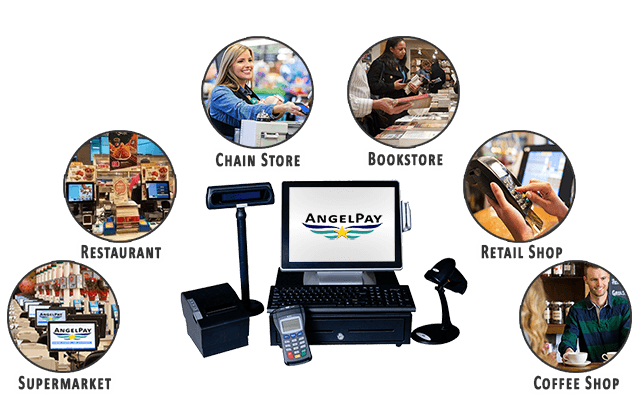 Over the decades the AngelPay Team has developed relationships with all the major retail and POS equipment manufacturers. After we learn what your business needs to accomplish, we can make recommendations about which equipment would best serve your company’s needs with the lowest possible cost structure. 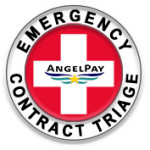 Ordering: We keep the most popular equipment in our inventory so most of the time AngelPay can be a single source for all our Members’ retail and POS needs. In cases when we do not have a particular component in inventory, we can get it quickly. Of course, urgent processing is available upon request. Next Steps: If your organization intends to use any of AngelPay's payment processing services and you have already visited the Dues Calculator page, then the next step is to submit a Member Application to help us understand your retail and POS needs. Upon approval, we will contact you to recommend the best solution for your needs.